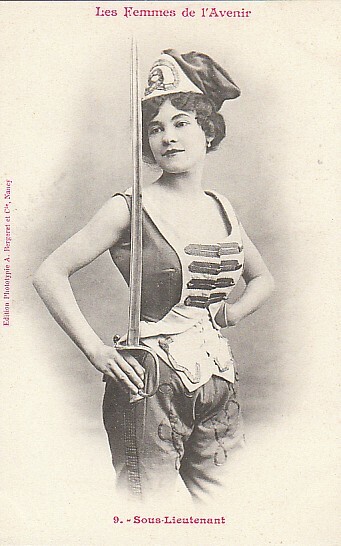 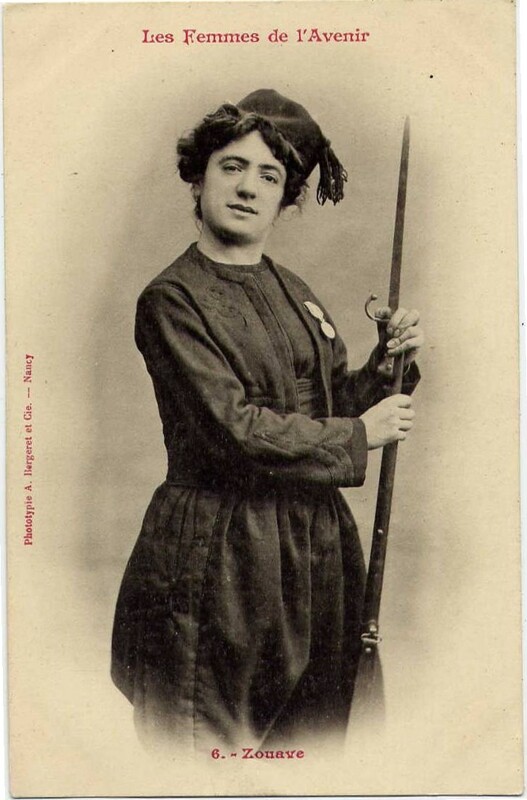 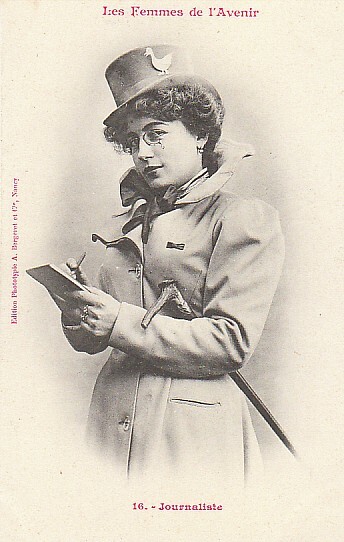 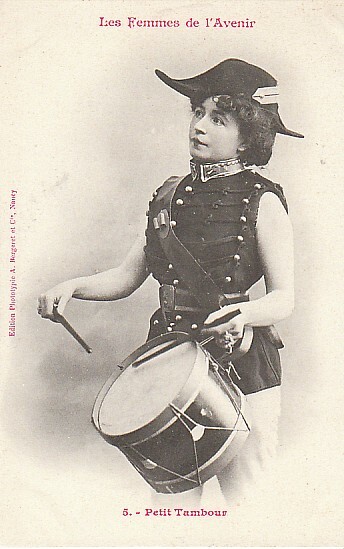 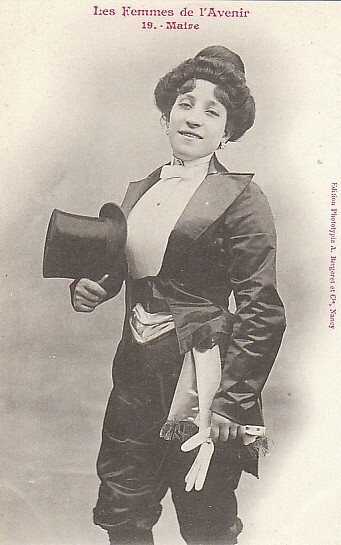 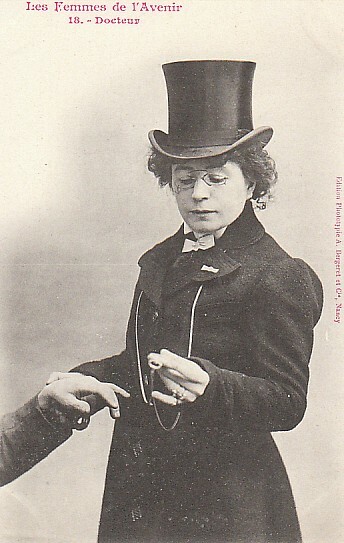 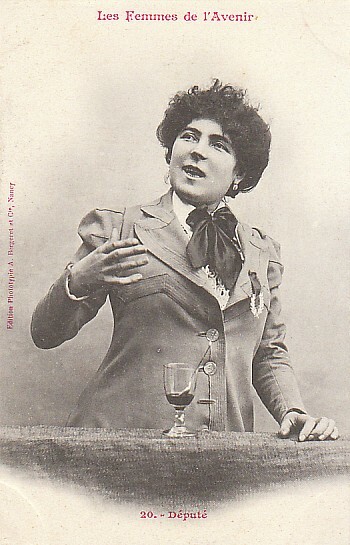 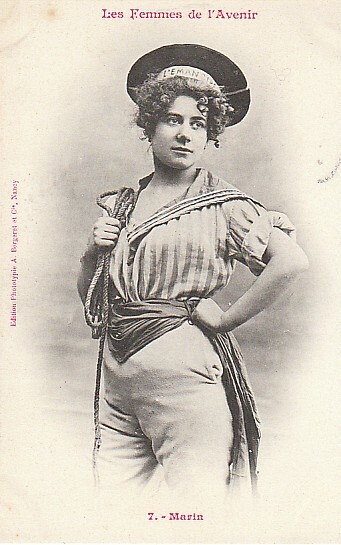 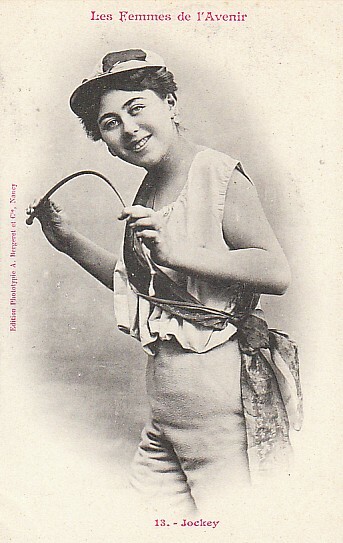 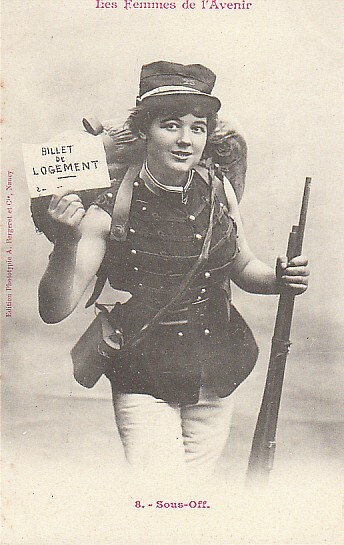 Again from the interesting and charming La Boite Verte website I've found an interesting suite of French photographic postcards. 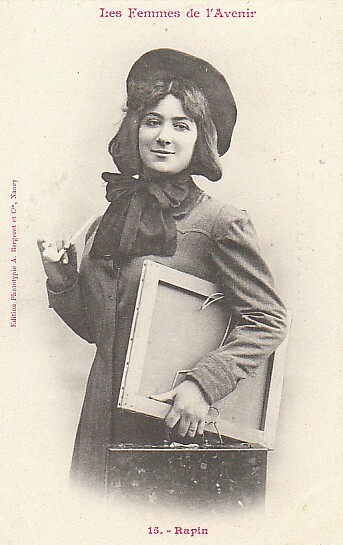 This set concentrates on the possible occupations of women in the future ("avenir"/"future"), and printed in 1902 by A. Bergertet in Nancy, France. 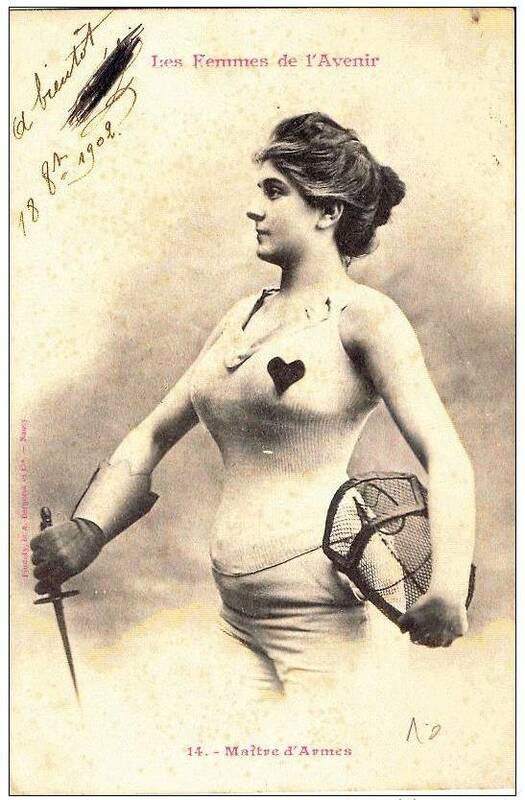 The images are slightly odd, most tbeing a little on the "swimsuit issue" side, but then again not without the women exhibiting a kind of coy pride in spite of what they looked like. 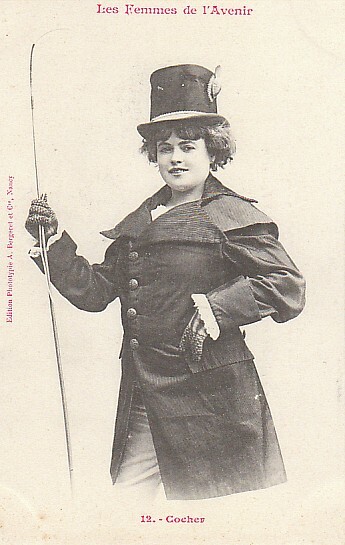 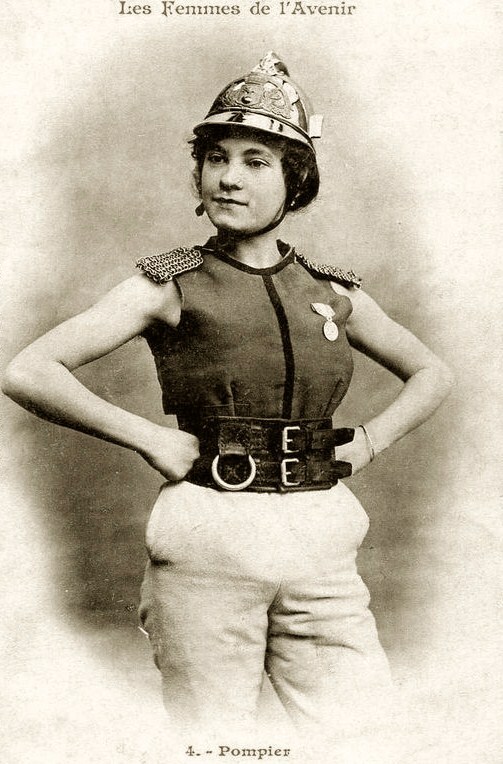 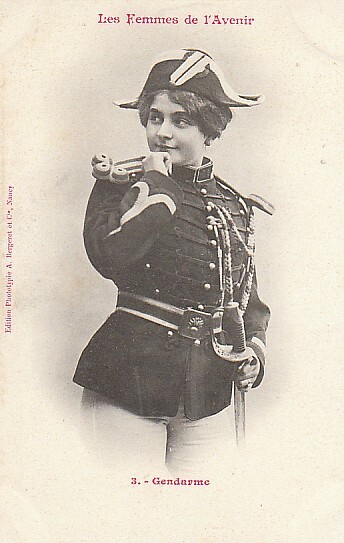 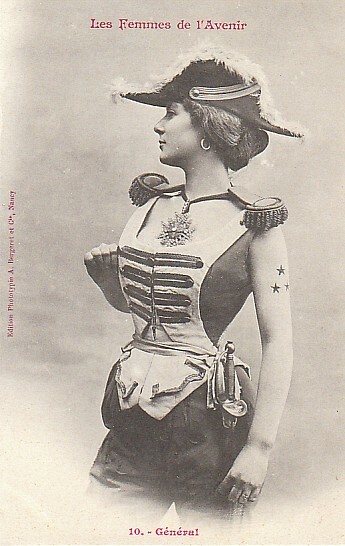 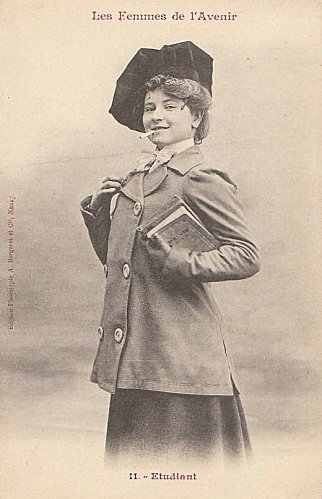 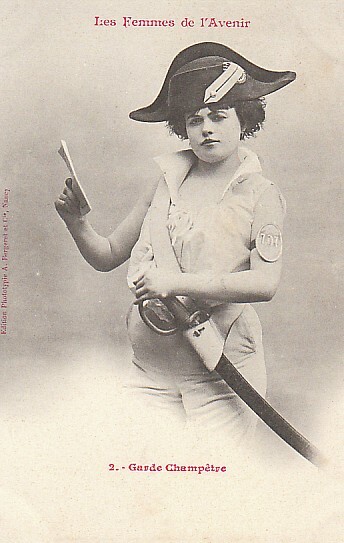 In spite of the attire, the women depicted as the "general", the firefighter ("pompier"), student (complete with a jauntily-held cigarette), and the sailor ("marin"), for example, are all taking their future positions seriously, even though their uniforms have been arranged for a 1902 man's viewing pleasure. 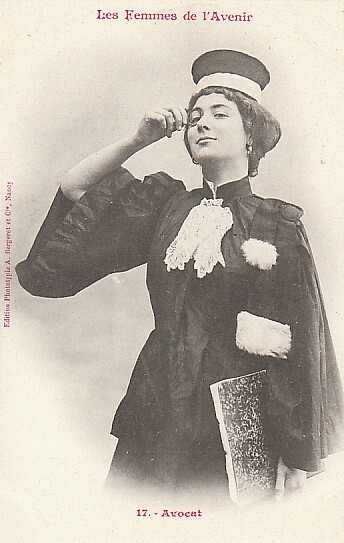 Its interesting to see that seeing into the future of professions and callings for women didn't habe to "see" all that far, with all of the professions being attained within the next 50-75 years. 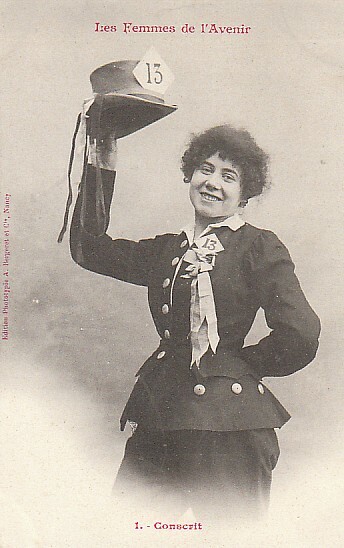 Of course the pay is largely still not same for women as it is for men, nor is women's percentage share (for most) anywhere close to a proportional share, but it is a good start.